Equitrekking.com publishes a variety of articles related to equestrian lifestyle, horse breeds and travel, including travel articles and first person narratives, interviews with equestrian experts, artists and ranchers, travel reviews and more. We encourage writers interested in submitting a story to us to look over various sections of Equitrekking.com to view our content. The best approach submitting a story is to write an email outlining the proposed piece, including a resume if the article is based on your personal expertise or a description of your experience. Articles typically range from 300 to 1500 words and longer articles are formatted with short paragraphs, subheads between every few paragraphs, and photos with detailed captions. Select articles will be chosen for the Equitrekking.com monthly e-newsletter. The writer's name will be included with the publication of all manuscripts submitted by author, and can include a brief biography and links to the author’s websites. Writers retain ownership of the copyright, but we generally ask for first publication rights until 60 days after the first publication of the article on Equitrekking.com. Learn more about Equitrekking and Darley Newman. Please contact us. 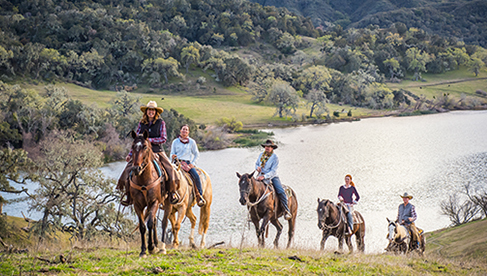 Been trail riding or ridden horses on your travels and want to share your story with others? We publish many first person travel articles and articles related to spending time with horses, whether it's a volunteer experience, a riding vacation or a rundown of great horse festivals, equestrian shopping experiences or travel destinations. Mangalarga Marchadors ride the Way of St. James! Share your experiences with horses. These articles may relate to careers, your horsey home area, volunteering, training, attending an event or horse show, or an equestrian discipline. Have you adopted a horse, perhaps an ex-racehorse, OTTB or a horse you'be had to retrain. Write a guest blog for us for "Horse Adoption Story". Artist Interviews - Interviews with artists who are inspired by horses or travel. Horse Expert articles, interviews or information related to wellness, training, associations, horse culture or organizations. These are usually categorized under Expert Equestrian Articles and can be first person narratives, "how-to" articles or interviews. Descriptions and information on various horse breeds around the world. We're looking for more articles on historic horses. Please suggest a horse for us to write about or pitch us on a historic horse that you can research and share with our readers. 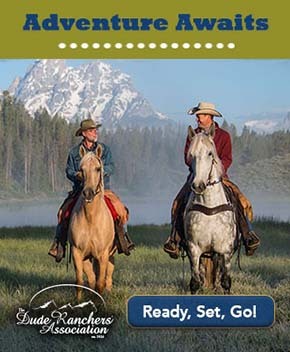 Traveling for a summer cattle drive, job as a wrangler, dude ranch vacation or vacation on a working ranch. We want to hear about your experiences. Write about it for us! Dream jobs with horses can include interviews and profiles of people or professions. We're loking to highlight people with dream jobs who can inspire readers to seek out horses in their lives.